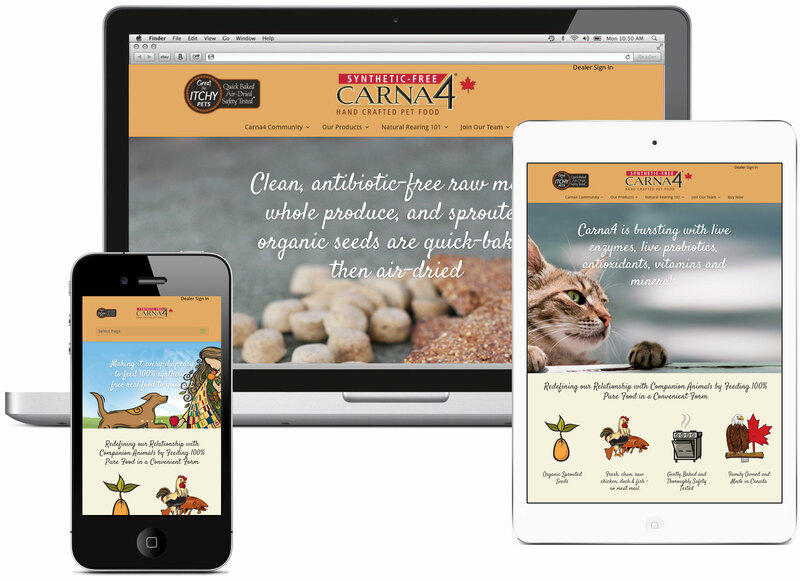 Swerve created a new website design for Carna4 with a unique approach to delivering a site that performs and stands apart from all the other pet food websites on the market. The site design concept is anchored on the ideal of differentiation in a crowded market. 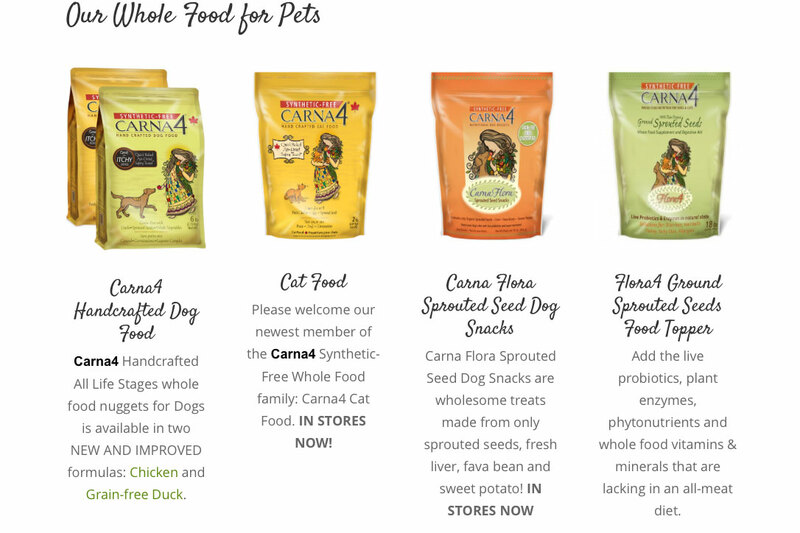 The biggest challenge Carna4 faced when launching in a crowded marketplace was to stand out and differentiate themselves from all the other pet foods on the market. 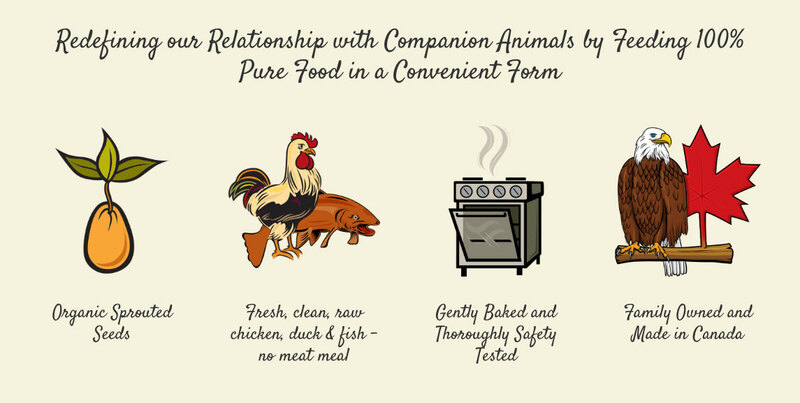 Their product is a remarkably different natural pet food that starts with fresh, table-grade meat, eggs, whole produce & sprouted, organic seeds – alive with boosted nutrients & probiotics. These natural ingredients are then gently baked to give your pet balanced, 100% pure & highly digestible nutrition, without synthetic supplements of any kind. 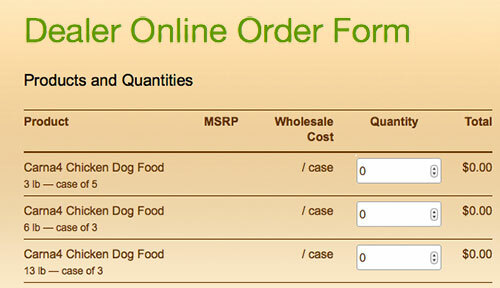 There is simply no better pet food on the market (and tasty as our dog would tell you!). So to demonstrate how different their product was they took a totally different approach from all other packages and focused on illustration and high quality packaging. We applied the same philosophy when designing their website and told stories and illustrated their strengths using strong, clean visuals. To allow the client to control their content including blogs and videos we setup an easy-to-use WordPress content management tool with extensive customizations to work just the way the client wanted. Easy to buy when it’s easy to find. 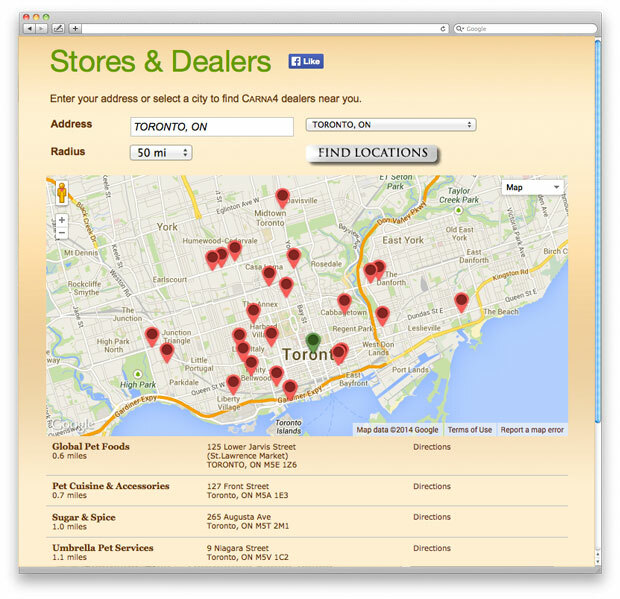 We created a custom store locator so customers can easily find their products, and since new stores were being added all the time we made it simple to add new stores by either uploading an excel file or individually adding locations using the back-end tools. To encourage product orders to retailers we built a dealer login section that allows easy orders and remembers past order information so retailers don’t have to continually enter their basic information in.